Have you ever had one of those vacations that you really didn't want to end? My husband and I just got back from a trip to Negril, Jamaica, and are definitely still on island time. Where we stayed, the Westender Inn, was pure bliss.... tucked away on the western tip of the island, with the ocean just steps from our door. I loved the wildness of the waves as they crashed onto the coral. As the tide changed and the waves got bigger, thunderous booms echoed as the water hit the rocks. I sat mesmerized one day watching water spouts burst up from the ground, sending tiny slivers of cool droplets my way. My husband is already trying to figure out how to get back down there. It truly was a little piece of paradise. 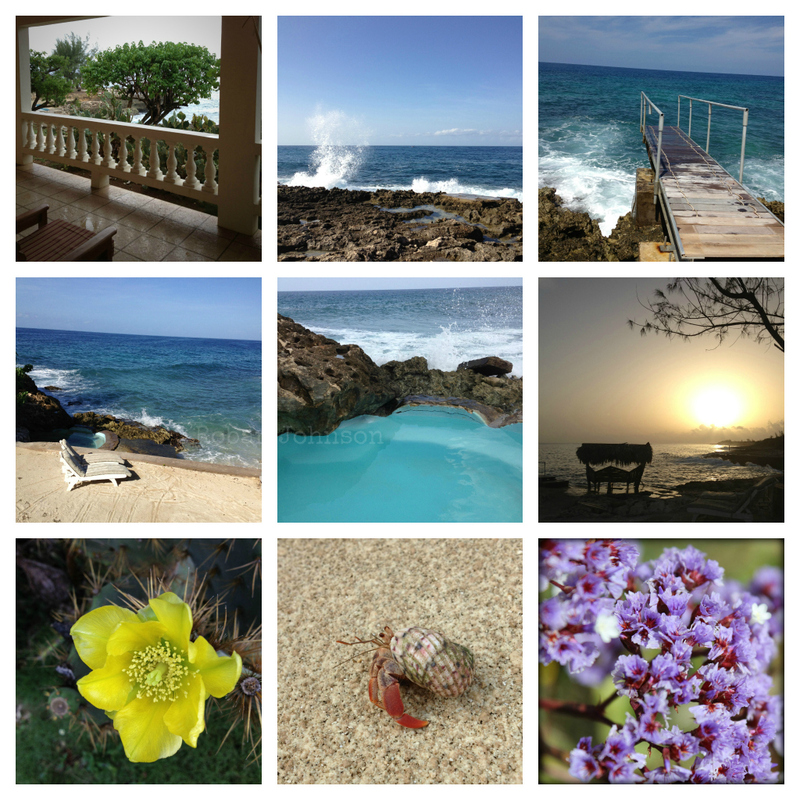 This post has a few more photographs from our island adventure. For more mosaics, visit Mary at Little Red House. The 'blow holes' are common sights on many Caribbean islands as the waves pound the iron shore. My wife and I travel regularly to the islands for R&R and scuba diving. So we understand your desire to return. It sounds like a wonderful vacation, Roban. I can understand why you did not want it to end.